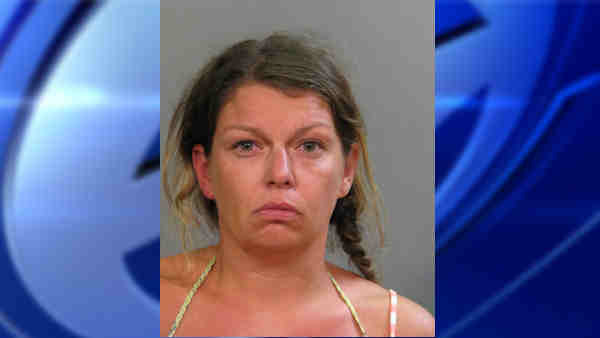 EAST NORWICH, N.Y. (WABC) -- Police arrested a woman accused of driving drunk on Long Island with two young children in her car. According to Nassau County Police, they responded Friday around 7 p.m. to Northern Boulevard and Oyster Bay Road in East Norwich. They found Whitney Gold, 34, of Port Washington, outside her 2015 Cadillac Escalade arguing with a friend. There were two children in her vehicle, a 9-year-old girl and a 7-year-old boy. Police said Gold had been operating the vehicle and was intoxicated. She was arrested and the children were released to a family member at the scene. Gold was charged with driving while intoxicated and aggravated driving while intoxicated with a child passenger (Leandra's Law), among other charges. She is scheduled for arraignment on Sept. 5 in Hempstead.